Abdullah al-Senussi, a former Libyan Colonel and Chief of Military Intelligence under the regime of Muammar Gaddafi, and wanted by the International Criminal Court (ICC), was arrested in Mauritania on 18 March by Mauritanian and French officials. The arrest has led to conflicting calls for al-Senussi’s extradition from the ICC, France, and Libya. The Court has called for Mauritania’s cooperation, based on UN Security Council Resolution 1970 (in which the situation in Libya was referred to the ICC), in surrendering al-Senussi to the Hague for investigation into his role in the commission of crimes against humanity in the country last year,. A press statement from the Office of the French President, Nicolas Sarkozy, indicated that the government was pressing for al-Senussi’s extradition to France to serve the life sentence that was handed down to him in abstentia for his role in the bombing of flight UTA 772, which claimed the lives of 170 people on 18 September 1989. Meanwhile, Libya’s provisionally-ruling National Transitional Council (NTC) has urged Mauritania to extradite al-Senussi to face justice in Libya, and dispatched its Deputy Prime Minister, Mustafa Abu Shagour, and a delegation of senior officials on 20 March to press for a decision. 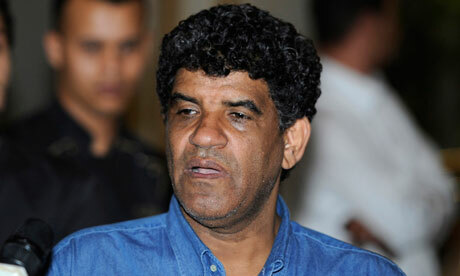 Libyan officials have expressed that their Courts are ready to hold a trial for al-Senussi. According to an Al Jazeera report on 21 March, Shagour acknowledged that he had reached an agreement with Mauritanian officials that would see al-Senussi transferred to Libya, despite continued pressure from Paris. Mauritania has not yet confirmed this decision. These developments come as as civil society expresses the urgent need to transfer al-Senussi to the ICC, rather than to face justice in Libya. ICRtoP member organization Human Rights Watch, and others including Amnesty International, members of the Coalition for the International Criminal Court (CICC), and the International Federation for Human Rights (FIDH) called for such action without delay. This has been echoed by Human Rights Watch and FIDH, who have also raised concerns over Libya’s troubled transition into the post-Gaddafi era, which includes the fact that thousands remain in detention under the control of militias, with widespread allegations of torture and ill-treatment. Both organizations have thus impressed upon the need for al-Senussi to be sent to the ICC instead of being tried in Libya. NPWJ followed this call by encouraging the international community to provide assistance to Libya as it seeks to be able to try both Abdullah al-Senussi and Saif al-Islam Gaddafi, who, also wanted by the ICC, was arrested by militias from Zintan on 19 November 2011, and remains in custody in Libya. If, however, Libyan authorities were found unable to try al-Senussi, NPWJ said it would join other civil society organizations in calling for Mauritania to transfer the former Gaddafi-era official to the ICC. The debate over where to extradite al-Senussi has thus reinforced the necessity of a holistic approach to international assistance in Libya’s post-conflict transition. As Libya’s new authorities push for al-Senussi to be tried in their courts, concerns over the state of the judiciary and reported conditions in detention centers are a striking reminder of the potential risks of al-Senussi’s extradition to the country. Overall, the present situation raises serious questions about the ability of the post-Gaddafi system to deliver a fair trial that bestows justice to the victims of government-perpetrated crimes during the revolt. At the May-June 2010 Kampala Review Conference of the ICC, the Court’s Assembly of States Parties (ASP) adopted a resolution which premised that states willing but unable to fulfill their Statute responsibilities in investigating and prosecuting individuals accused of Rome Statute crimes should be provided with the necessary tools needed to do so. If Mauritania does proceed with al-Senussi’s extradition to Libya, international assistance by the Court, members of the ASP, and civil society will be crucial to ensuring that the trial meets international standards. The state of the judicial system and its capacity to hold fair, domestic trials reflect the broader challenge confronted by the new Libya as it struggles to consolidate security, build the rule of law, and promote respect for human rights – all integral in upholding its primary responsibility to protect its populations. Consistent with the second pillar of the RtoP, the international community must be prepared to provide assistance and capacity-building to the new Libyan authorities as the transition continues. Click here for our post on the relationship between RtoP and the ICC. 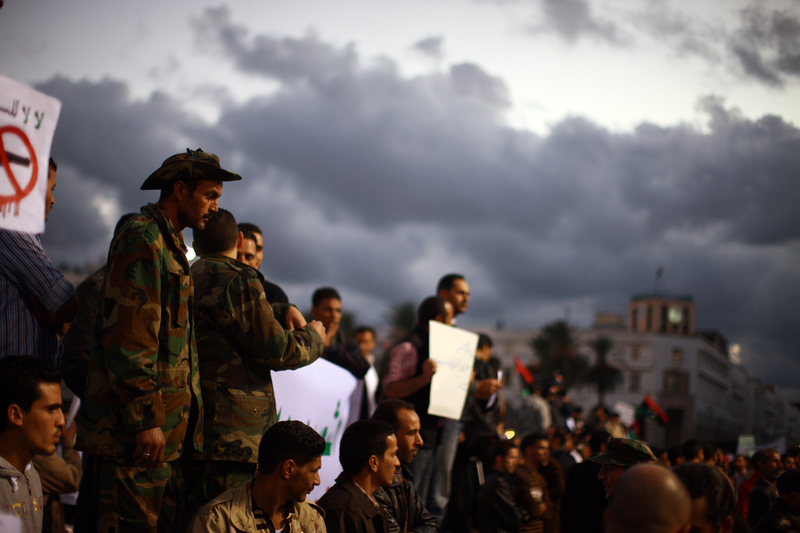 Click here for our look at the anniversary of the Libyan protests and the challenges faced by the NTC in the post-Gaddafi transition. Click here for our feature on the Responsibility to Protect in the aftermath of Libya, with voices from our civil society member organizations.